After sending an email, you assume it zips through the digital world and lands in a customer's inbox. Most of the time, that's exactly what happens. But, research shows nearly one in four emails lands in the spam folder, according to a 2015 study from Return Path. Why do 25 percent of emails get trapped in a spam folder? 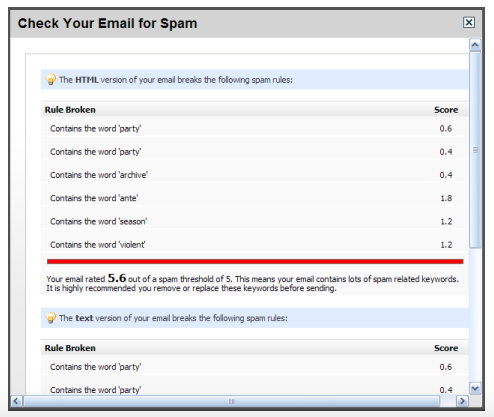 You may have used certain spam words that trigger a filter to send your email to the dreaded spam folder. What words should you avoid? We'll give you a list of spam words along with a helpful guide on delivery rates to keep your emails from being marked with a scarlet S.
Spam is unsolicited bulk emails that are irrelevant and unwanted by the subscriber. When you think of spam, you probably think of some shady character that's sending a glut of emails in hopes of scamming subscribers out of money. But that's not always the case. 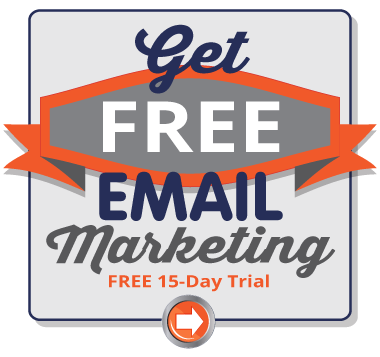 Let's say a small business owner buys an email list in hopes of gaining customers. He decides to send a coupon to all of the contacts on the list. Every email he sent could be considered spam. Why? The contacts never asked to receive messages from him or the business, and therefore, the recipients could report the email as spam. How does email end up in the spam folder? There are several paths an email can take to land in a spam folder. In basic terms, software scans every email and decides whether it goes to a subscriber's inbox or spam folder. The software checks for spam-like qualities like the use of certain words, links to less-than-reputable websites, messages in ALL CAPS, and emails that don't have an unsubscribe button. The software keeps a running tally of spam offenses, and once it reaches a certain number the email gets dropped in the spam bucket. If a large number of your emails bounce because of invalid email address, it's a red flag to the spam filter. Legitimate businesses with legitimate email contacts don't collect emails that are invalid or outdated because they're actively seeking potential customers on a consistent, organic basis. These reports damage the sender's reputation, and spam checking software will start to scrutinize emails from that sender more carefully in the future. To help spam filters check the millions of emails that are sent each day, software is set up to look for certain words that are often associated with spam. Ideally, you'll want to avoid using spam words to make sure your email hits a subscriber's inbox. Words that are associated with gimmicks, schemes, promises or free gifts are often red flags for the spam filters. Before we get into a specific list of words to avoid, it's important to understand that context is important too. You'll see words on this list that are fairly common; you have probably used one or two of them in the past. If they're used in the right context, they won't be flagged. For instance, you'll notice 'free gift' is on the list. If your email offers subscribers a free gift with the purchase of two large coffees, the spam filter isn't going to keep your email from the inbox. However, if an email offers a free gift after depositing $20 in the "Help the Baby Baboon Fund" – red flags go up and the email is considered junk mail. Been turned down for a loan? What additional steps could improve your delivery rates? There are dozens of spam words that can trigger the spam filters, and they're constantly changing, so how can a business stay ahead of this problem? Use a spam checker. A spam checker scans your email for potential problems and identifies areas that you can fix. Pinpointe offers a SPAM Checker that scans an email in just one click. It identifies problems and gives your email a spam score. Campaigns that receive a rating above 5 will likely see 5-10 percent of their emails go to spam folders. Fortunately, the tool shows you exactly what the problems are so you can fix it. Take a look at the report generated by the SPAM Checker below. In this case, it picked up on several spam words the creator should consider changing. Learn how to use the SPAM Checker with this quick video tutorial. To get the best delivery rates, you want a list full of potential email customers that asked to join your list. You want customers that have given you explicit permission to send messages to their inbox by opting into your email family voluntarily. It's true; there is a spam law. It's called the CAN-SPAM Act and it governs commercial email. 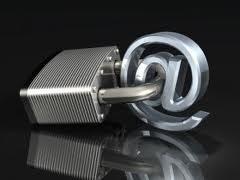 The term commercial email applies to any business that sends an email trying to promote or sell a product or service. Simply put, it applies to every business. Don't use false or misleading information. Don't use a deceptive subject line to get people to open your email. Tell subscribers where you're located. Give subscribers a simple way to opt out of your emails. Penalties for not following the law can add up to $16,000 per email, so it's important to follow the rules. To learn more about the CAN-SPAM Act, visit the Federal Trade Commission website. Sending emails takes time, but that doesn't mean you should send the same email over and over again. 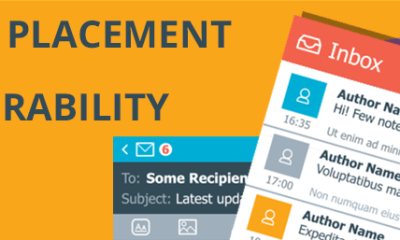 If you send repetitious emails with the same subject line again and again your subscribers will likely get frustrated and report your message as spam. You can repurpose emails, but don't resend them word for word. Encourage your subscribers to add your emails to their list of regular contacts, or whitelist. This automatically sends your email to a subscriber's primary inbox, no questions asked. The key to happy subscribers is to send relevant emails. Messages that are personalized and tailored to a subscriber's interests and needs increase brand awareness and sales. And, it's highly unlikely that subscribers will report your email as spam if they receive messages they care about. Every business should aim for a 97 percent delivery rate, but when you're creating emails delivery rates aren't always a priority. You're likely strapped for time and looking to send emails quickly and efficiently. But, if you understand what spam is and use simple tools like the SPAM Checker, you'll be on your way to subscribers' inboxes – not spam folders.